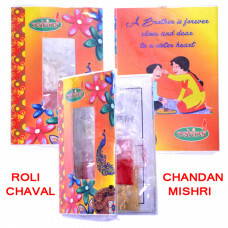 Family Rakhi Set - Beautiful Family Rakhis Collection with Free Roli-Akshat (chaval), Chocolate and a Beautiful Rakhi Greeting Card. 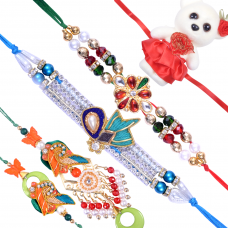 Send Rakhi for Family with most loved Online Shopping website - RakhisOnline.com. 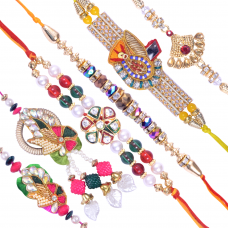 Set of 6 Family Rakhis for your loved ones.1 pair (02) Bhaiya Bhabhi RakhisTWO Additional Brother Ra.. Exquisite Family Rakhi Set B01 Pair (02) Bhaiya Bhabhi RakhisFOUR additional Brother Rakhis.. 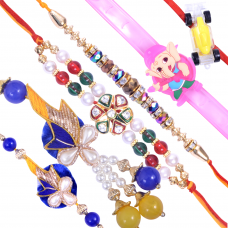 Exquisite Family Rakhi Set 01 Pair (02) Bhaiya Bhabhi RakhisTWO Additional Bhaiya Rakhis01 Kids.. 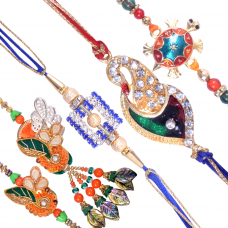 Exquisite Family Rakhi Set 01 Pair (02) Bhaiya Bhabhi RakhisTHREE Additional Brother Rakhis..